Sleep experts fill us in on the best pillows for pain relief and comfortable snoozing! Can't fall asleep as soon as your head hits the pillow? Maybe the pillow's the problem. “Your bed should be something just shy of decadent,” said Dr. W. Christopher Winter, owner of Charlottesville Neurology and Sleep Medicine in Virginia and author of "The Sleep Solution: Why Your Sleep is Broken and How to Fix It." Along with a comfortable mattress and soft sheets, he said a quality pillow is key. But, most people don’t give a second thought to their pillow — and may be using one that’s decades old. That’s a problem. “Choosing the right kind of pillow and a supportive mattress helps relax the spine and rejuvenates the body for the next day,” said Sridhar Yalamanchili, a physical therapist at the Atlantic Spine Center in New York. Regardless of snoozing position, a pillow should keep your head, neck and shoulders aligned with your spine, advised Dr. Michael J. Breus clinical psychologist and sleep medicine expert from Los Angeles, California. In order to achieve the perfect alignment, though, different types of sleepers require different types of pillows. Look for a pillow that nestles the head at an intermediate height. Winter suggested the Proper pillow. It features an oval-shaped dip in the middle. “As your head sits in the hole, the pillow around it supports it properly,” he said. 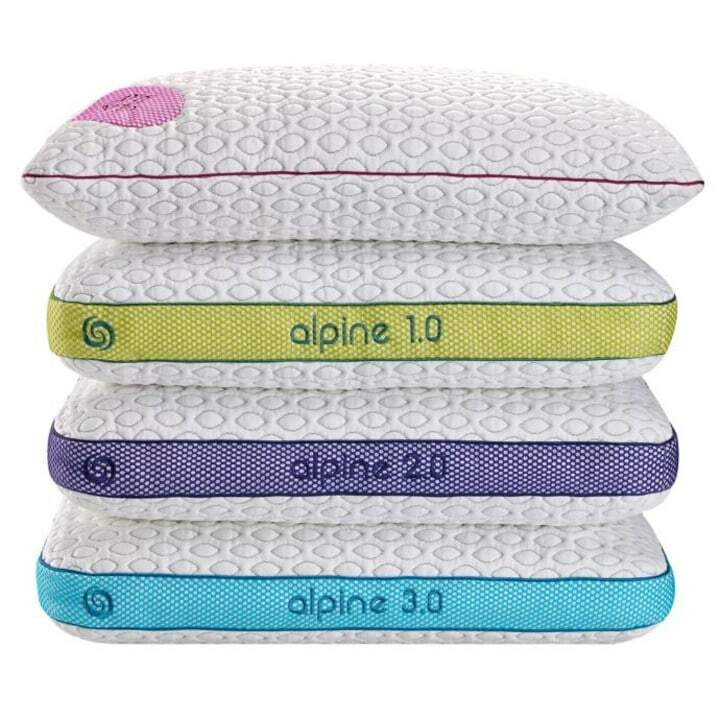 Bedgear’s Alpine 2.0 Performance pillow is another good option. It was specifically tested for back sleeping comfort, according to the company's website. The height adds comfort for sleepers who like to rest their shoulders on the pillow. This position is often recommended by experts. “Side sleeping in a fetal position opens up the spine and relaxes the muscles,” said Yalamanchili. 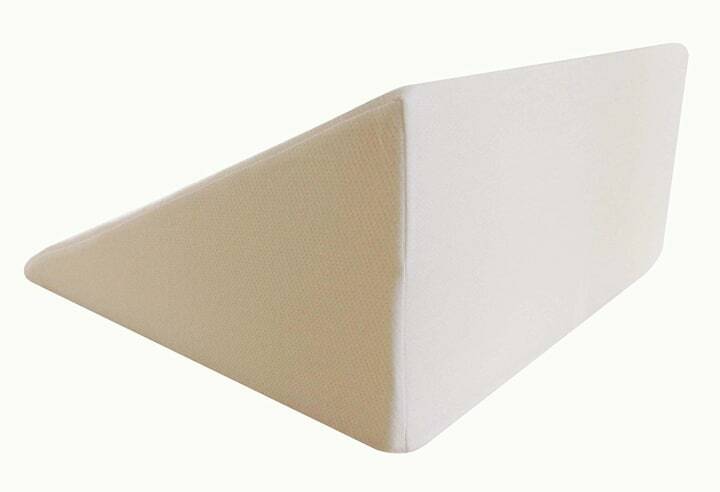 Side sleepers should choose a firmer, contoured pillow with a wave shape to cradle the head. “These help to maintain the natural distance between your shoulder and head to keep your posture better aligned,” Winter said. 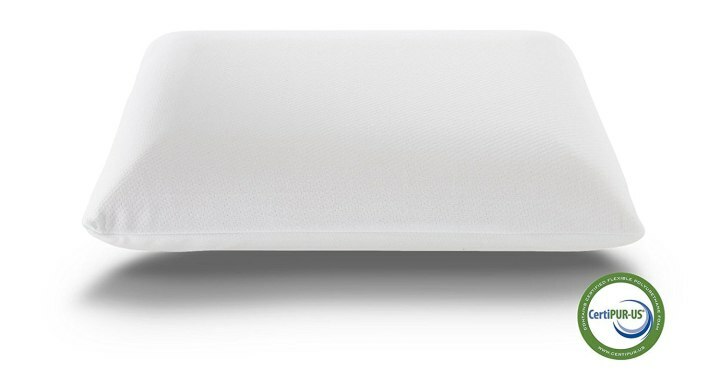 The best-selling contoured pillow on Amazon, from Cr sleep, features a washable jersey fabric cover over gel-infused memory foam. Yalamanchili also recommended sliding a medium-firm pillow between the knees to ease pressure on the lower back. 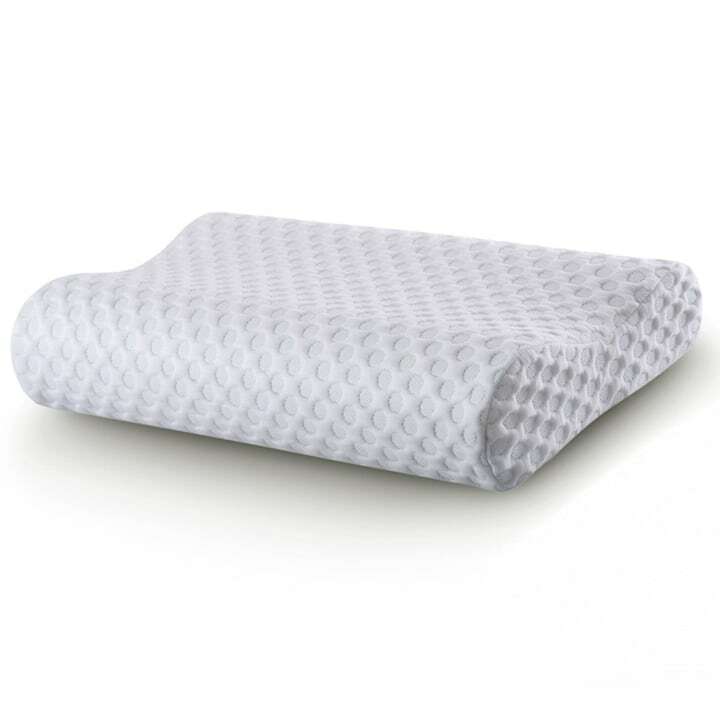 The best-selling medium-firm pillow on Amazon, from Live & Sleep, provides support through a CertiPUR-certified memory foam interior that caves a bit under pressure. Fall asleep in a chair or stack two or three pillows in order to stop yourself from snoring? Consider a wedge pillow, said Winter. These raise the head and upper body more reliably than stacked pillows. helping to keep airways open and snores at bay. Your sleeping partner, kids, friends, family and neighbors will thank you. Yalamanchili recommends avoiding this position, if possible. “It causes the natural curvature in the neck and lower back to flatten, putting excessive stress on your neck,” he said. Yet, there are some pillows that can help reduce this strain. 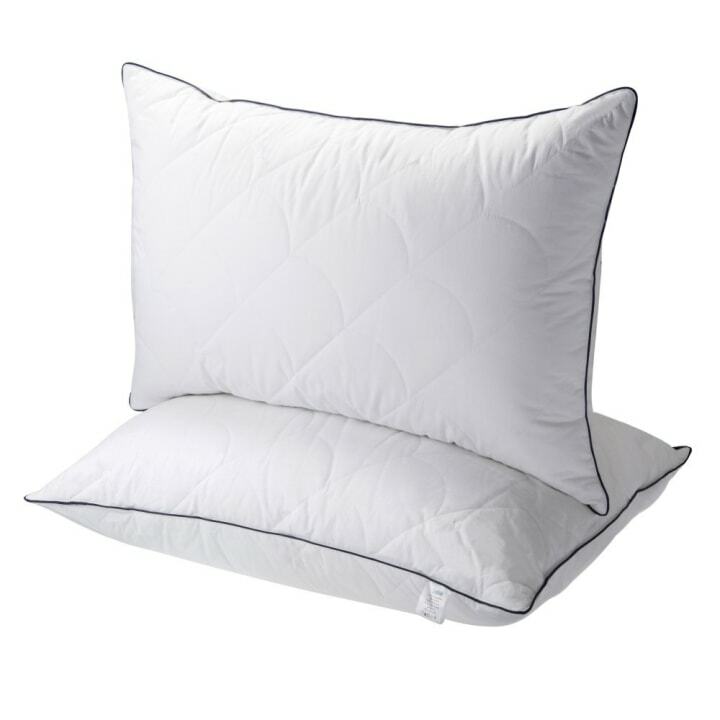 Choose a compressible pillow, which squeezes down into a flatter shape and reduces stress on the neck, Winter advised. But, be sure to stay away from memory foam, he added. Most people don’t find it appealing when their face sinks into these. The Sable down alternative pillow may be a good option. 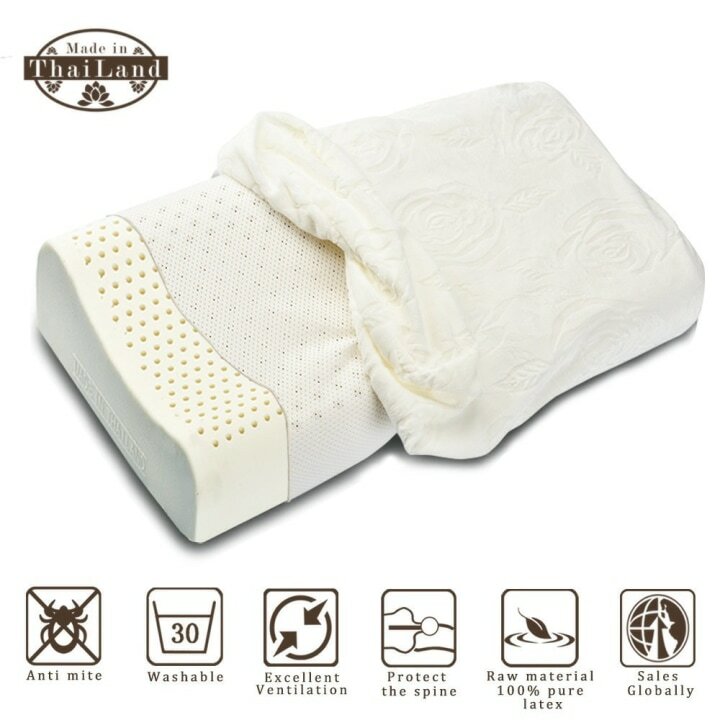 The height of the pillow is adjustable, and the softness allows your head to sink down low. Breus also recommended using a softer pillow and sliding a second one under the stomach and pelvis if you experience back pain. 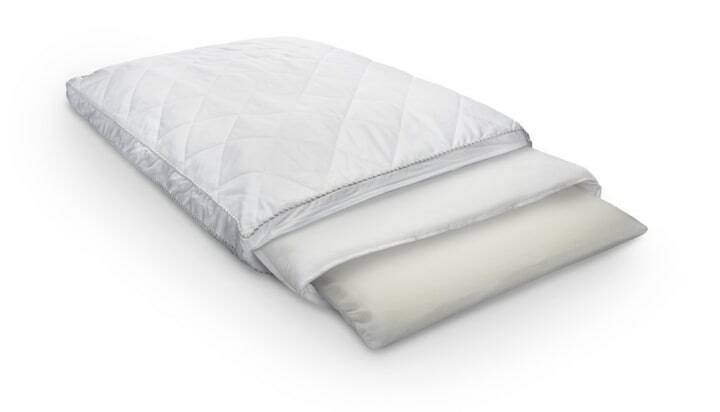 For those who flop around at night — from back to side to stomach — a shredded latex pillow might be best, said Winter. Try the Beautyrest latex pillow. It has more than 1,400 Amazon reviews and a 4.2-star rating. When allergies kick in and sinuses start dripping, finding a comfortable sleep position might seem impossible. Changing out your pillow can help. “There are certain materials that tend to accumulate more allergens, like dust mites, in them. Down tends to be the worst,” said Winter. 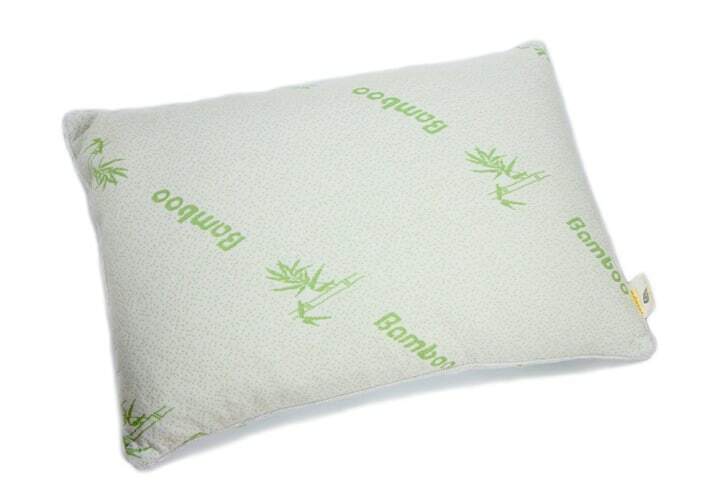 Swap it for a latex pillow, which resists allergen build up. From Talalay to Dunlop materials, latex pillows can come in varying densities. So, if you find that one is too hard or soft, try another version, Winter advised. Below are two of the best-selling latex pillows on Amazon. 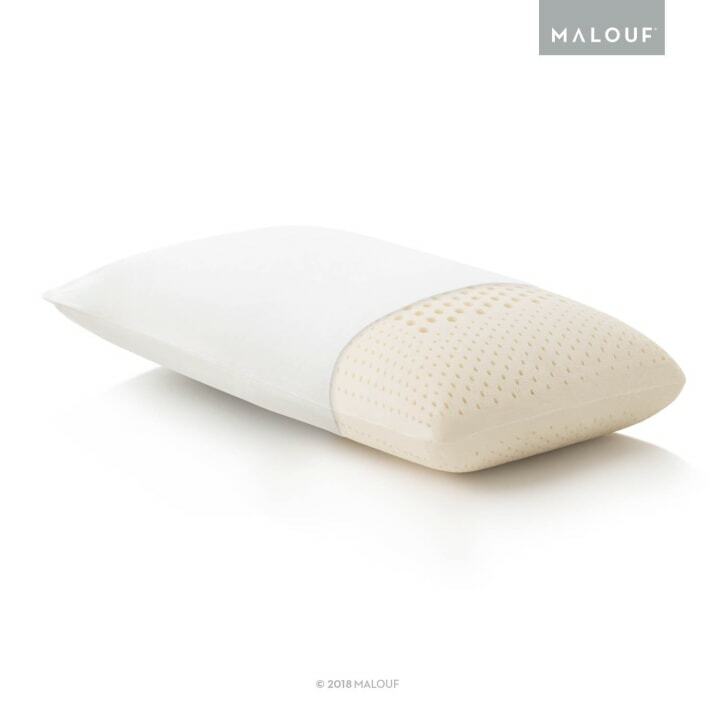 Both are made from hypoallergenic latex, but the (more expensive) 100 percent Talalay option from Malouf features a zoned design to strategically relieve pressure, according to the company. This story was originally published on April 2, 2018 on TODAY.com.